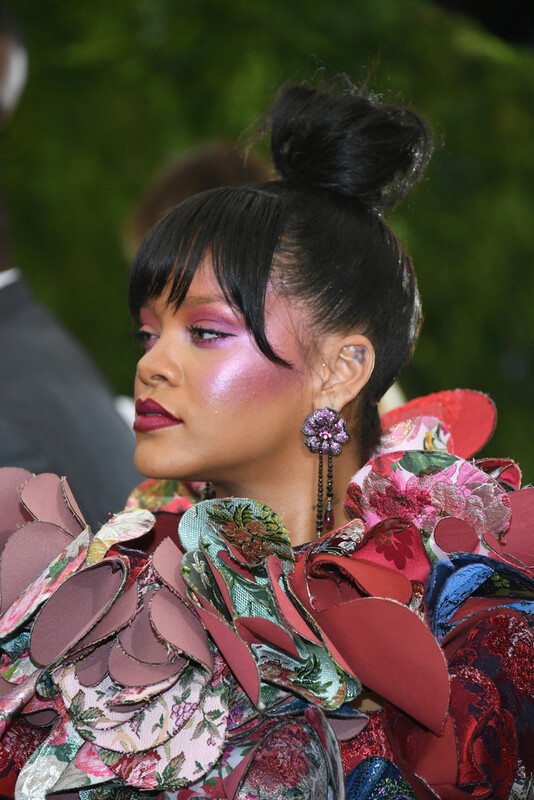 The 2017 Metropolitan Museum of Art’s Costume Institute Gala was held tonight at the Metropolitan Museum of Art on Monday (May 1) in New York City. 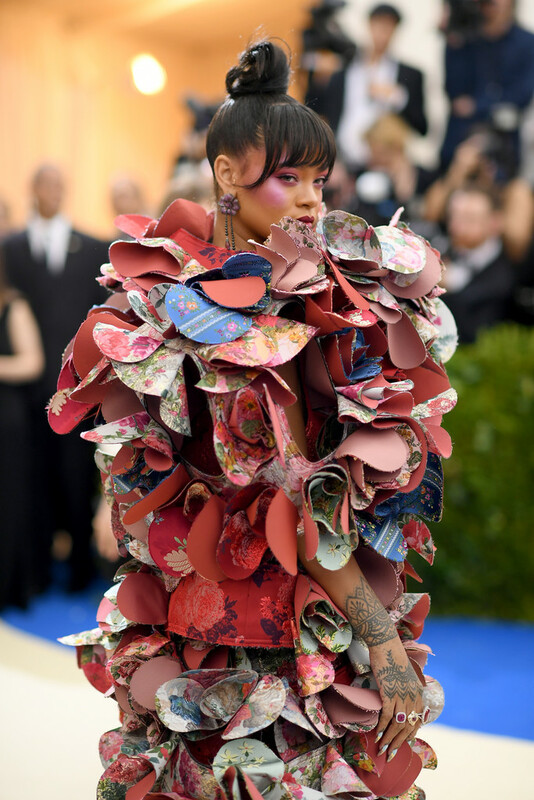 The theme of this year’s exhibition is dedicated to 74-year-old Japanese designer Rei Kawakubo. As one of fashion’s most revered creative visionaries, she founded the avant garde label Comme des Garçons in 1969, and was part of a cohort of radical Japanese designers to debut in Paris in the early 1980s. Kawakubo has striven to create new aesthetics during her career, defying norms about what clothing and the body should look like. “Rei Kawakubo/Comme des Garcons: Art of the In-Between” will use 150 examples of Kawakubo’s work to explore how the designer has managed to straddle and subvert established dualities (then/now, self/other, clothes/not clothes etc.). It is also important to mention that this is the first time the Met has dedicated a show to a living designer since 1983’s tribute to Yves Saint Laurent. From Rihanna and Selena Gomez to Cara Delevingne, Blake Lively and Gisele Bündchen, see all of the outfits straight from the red carpet in the gallery below. Victoria’s Secret Angel Adriana Lima hit the red carpet at the Metropolitan Museum of Art on Monday (May 1) in New York City. The 35-year-old Brazilian beauty looked glam dressed in Alberta Ferretti high-slit black dress featuring a deep neckline, while finishing off the look with Giuseppe Zanotti shoes and Chopard jewelry. Adriana Lima looks stunning with a high slit at Met Gala 2017. 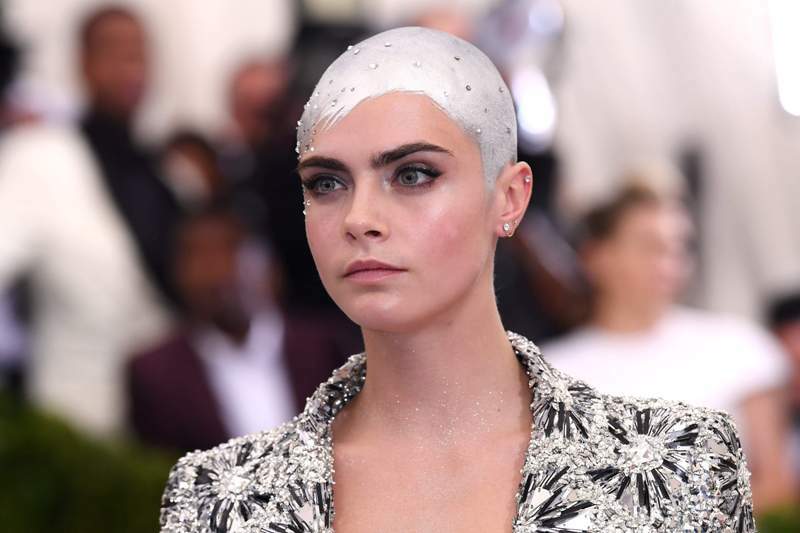 British model Cara Delevingne has debuted her bald new haircut while walking the red carpet s at the 2017 Met Gala held at the Metropolitan Museum of Art on Monday (May 1) in New York City. 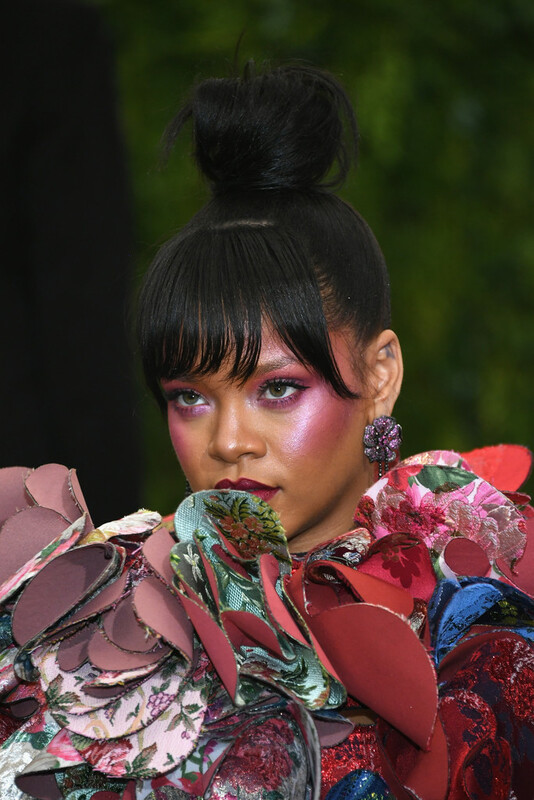 The 24-year-old was dressed in Chanel silver sparkling suit while her head was the biggest accessory as it was painted silver and covered with crystals. Cara recently shaved her head as she begins working on the upcoming film “Life In A Year”. 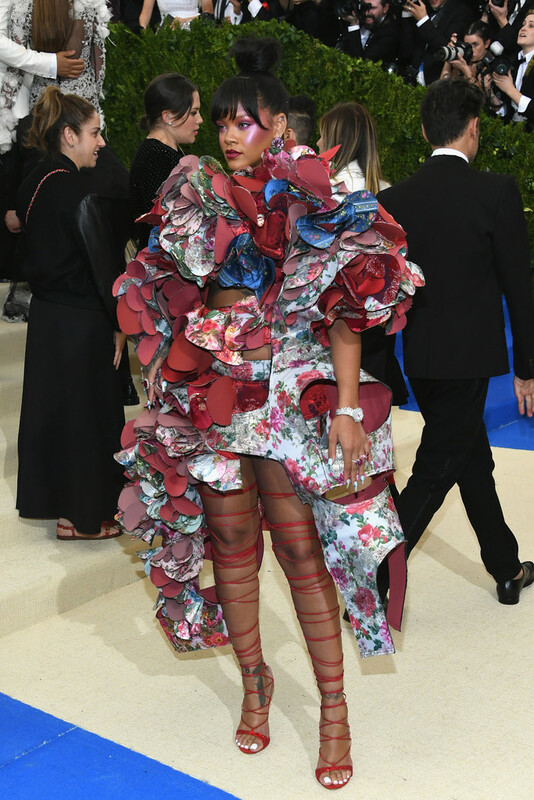 All eyes were on Rihanna while she walked the red carpet s at the 2017 Met Gala held at the Metropolitan Museum of Art on Monday (May 1) in New York City. 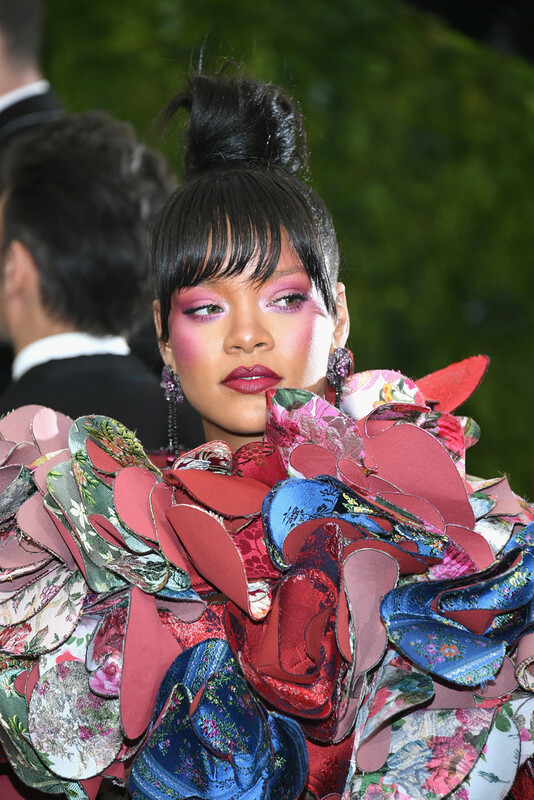 The 29-year-old singer stayed true to the theme of the night and stepped out in a Commes des Garcons colorful outfit and accessorized with Rihanna Loves Chopard jewelry. 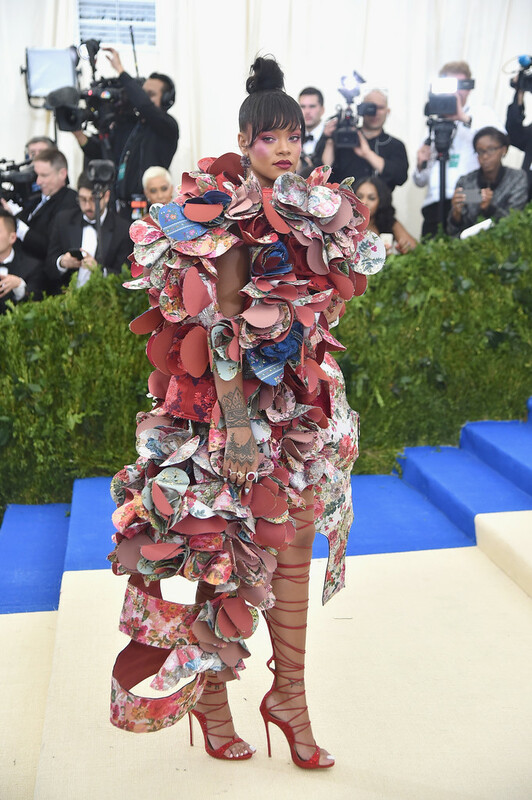 Rihanna proved one more that she is always one to watch the Met Gala. Brazilian supermodel Gisele Bundchen and her husband Tom Brady walked the red carpet together at the Metropolitan Museum of Art on Monday (May 1) in New York City. The 36-year-old model arrived in a silver gown by Stella McCartney for the Green Carpet Challenge, teamed with Neil Lane jewellery, while Tom was wearing Tom Ford suit. The couple were among the co-chairs at this evening` MET Gala event. American model Gigi Hadid was also at the Metropolitan Museum of Art on Monday (May 1) in New York City. The 22-year-old model wore an asymmetrical Tommy Hilfiger dress with a tulle skirt on one side and a mini-dress on the other. Her boyfriend Zayn Malik did not accompanied her this year but her mother Yolanda and her brother Anwar were in attendance. American reality star Kim Kardashian also attended the 2017 Met Gala held at the Metropolitan Museum of Art on Monday (May 1) in New York City. The 35-year-old was an vision in white Vivienne Westwood form fitted gown which accentuated her curves. 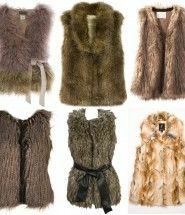 Her husband Kanye West was absent from this year`s Gala. American model Kendall Jenner was all smiles while posing to the photographers the 2017 Met Gala held at the Metropolitan Museum of Art on Monday (May 1) in New York City. The 21-year-old model opted for a stunning La Perla Haute Couture dress that left nothing to imagination and finished off her look with Christian Louboutin shoes, a Tomasini bag, Lorraine Schwartz earrings, and Ofira rings. Victoria’s Secret Angel Candice Swanepoel was attending the 2017 Met Gala held at the Metropolitan Museum of Art on Monday (May 1) in New York City. The 28-year-old model opted for dramatic impression with TopShop black strapless princess gown and finished off the look with Lorraine Schwartz jewelry. This was her first red carpet appearance since giving birth to her son Anaca. Indian actress Priyanka Chopra made a dramatic impression while attending the 2017 Met Gala held at the Metropolitan Museum of Art on Monday (May 1) in New York City. The 34-year-old “Quantico” star posed dressed in Ralph Lauren Collection custom trench coat evening gown and accessorized Jennifer Fisher earrings. She also posed with musician Nick Jonas. Victoria’s Secret Angel Behati Prinsloo was also at the 2017 Met Gala held at the Metropolitan Museum of Art on Monday (May 1) in New York City. The 27-year-old showed off her post-baby figure and shined in custom made TopShop white gown and completed the look with Harry Winston jewelry. Behati and husband Adam Levine welcomed daughter Dusty Rose back in September 2016. American actress Halle Berry was all glowing while posing to the photographers at the Metropolitan Museum of Art on Monday (May 1) in New York City. The 50-year-old Academy Award winner stepped out in a Atelier Versace custom made fully beaded black jumpsuit with full black skirt with gold scalloping detail, while finishing off the look with Jimmy Choo shoes. Model Joan Smalls strike a pose on the red carpet at the 2017 Met Gala held at the Metropolitan Museum of Art on Monday (May 1) in New York City. Joan was wearing a Topshop deep red silk crepe gown with plunging neckline and cut out sides, gunmetal Swarovski studded body contour panels, chain detailing and a thigh-high slit. She finished her look with Stuart Weitzman shoes, a Jimmy Choo bag, and Anita Ko jewelry. Selena Gomez and The Weeknd have made their red carpet debut while posing to the photographers at the Metropolitan Museum of Art on Monday (May 1) in New York City. The couple have been together since the beginning of the year. 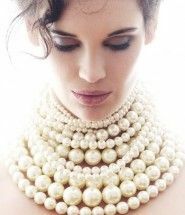 The 24-year-old singer was dressed in Coach white gown and accessorized with Tiffany & Co. jewelry and Coach bag.